Giannis Antetokounmpo scores 26 points, 10 rebounds to lift to Milwaukee Bucks over the Cleveland Cavaliers 127-105. Danilo Gallinari scores 27 points, Lou Williams adds 15 with six assists as the Clippers edge the Cavaliers, 110-108. Collin Sexton leads Cleveland to a win over Milwaukee with 25 points and three assists. Maximilian Kleber posts a double-double with 18 points and 12 rebounds as Dallas drops Cleveland. Nikola Vucevic scores 19 points and all five starters score in double figures as Orlando gets the win over Cleveland. Josh Richardson scores 20 points and dishes out five assists to rout Miami to a win over Cleveland. 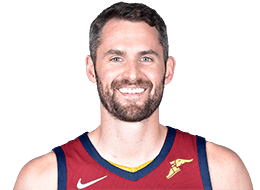 Played in 77 games (all starts) for Cleveland…averaged 16.0 points on .419 shooting, 9.9 rebounds (11th in NBA) and 2.4 assists in 31.5 minutes per game…shot .360 from the three-point line and .822 from the free throw line…also ranked 9th in defensive rebounds per game (8.0) and tied for 19th in three-pointers made (158)…his 158 three-pointers were the 5th-most in a single season in Cavaliers history; made at least one three-pointer in 62 of 77 games, including 50 games with two or more three-pointers and 27 games with three or more three-pointers…is the only player in NBA history to have a career average of at least 10.0 rebounds and make over 700 three-pointers…notched a team-high 35 double-doubles, which ranked 14th in the NBA; posted six first-half double-doubles…was the only player in 2015-16 to make at least 100 three-pointers with averages of at least 9.0 rebounds…posted 14 games of at least 20 points and 10 rebounds and seven games with at least 15 points and 15 rebounds…pulled down at least 10 rebounds 38 times, including eight games with 15 or more boards…recorded a season-high 19 rebounds to go along with 22 points and three blocks in 39 minutes against Indiana on Nov. 8; became the first Cavalier since LeBron James on Jan. 11, 2008 (31 pts, 19 rebs, 3 blks) to tally 22 points, 19 rebounds and three blocks in a game…notched his 300th career double-double with 24 points and 14 rebounds in 44 minutes at Milwaukee on Nov. 14…had his highest scoring game as a Cavalier with a season-high 34 points on 11-18 (.611) shooting, including 6-9 (.667) from the three-point line, eight rebounds, four assists and one block in 34 minutes in a win over Orlando on Nov. 23; scored 20 points in the second quarter, including 17 consecutive points from the 8:10 mark to the 2:50 mark…iIn eight games from Nov. 14-28, averaged 23.6 points on .538 shooting from the field, including .518 (29-56) from deep, and 11.6 rebounds in 34.6 minutes per game…swiped a career-high tying four steals on Dec. 8 versus Portland…dished out a season-high six assists on three occasions…recorded first half double-doubles in consecutive games in wins over Brooklyn on Jan. 20 (14 pts/13 rebs) and the L.A. Clippers on Jan. 21 (11 pts/11 rebs); the last Cleveland player with a first-half double-double in consecutive games was Zydrunas Ilgauskas, who did it in three straight games from Jan. 12-16, 1998…hit his 600th career three-pointer at the 7:43 mark of the second quarter against Utah on Nov. 10…made a season-high tying six three-pointers and finished with 26 points and seven rebounds in 34 minutes versus Brooklyn on Nov. 28…notched his 19th double-double of the season with a game-high tying 17 points on 5-10 (.500) shooting and a game-high 18 rebounds in addition to a game-high tying two steals in 31 minutes against Brooklyn on Jan. 20…topped 9,000 points for his career with his free throw at the 2:53 mark of the second quarter against Sacramento on Feb. 8…made his 3,000th career field goal against the L.A. Lakers on Feb. 10…notched a game-high 29 points on 9-18 (.500) shooting and 11 rebounds while dishing out four assists in 38 minutes at Oklahoma City on Feb. 21; made a season-high 11 free throws…shot a perfect 10-10 from the free throw line twice (March 7 vs. Memphis and April 6 at Indiana)…connected on his 700th career three-pointer in his 500th career regular season game, a four-point play that occurred with 1:32 left in the fourth quarter at Sacramento on March 9; Since three-pointers became an official stat in 1979-80, became the first player in NBA history to have a career average of at least 10.0 rebounds and tally 700 or more three-pointers; prior to that, Love and Larry Bird were the only players in league history to have at least 10.0 rebounds per game and 600 triples…recorded a season-high five straight double-doubles from March 23-31…led or tied for the team lead in rebounds 42 times, blocks 18 times, steals 13 times, points nine times and assists three times…was a DNP-CD four times and a DND once…missed one game on 2/6 due to a left thigh contusion; missed two games on 3/4 and 4/13 due to rest; missed one game on 3/10 due to a left knee sprain; missed one game on 3/21 due to illness. Owns career averages of 18.3 points on .444 shooting, 11.5 rebounds and 2.4 assists in 32.7 minutes per game in 516 games (434 starts) over eight seasons with Minnesota and Cleveland…also shooting .363 from three-point range and .815 from the free throw line for his career…has 329 double-doubles and three triple-doubles…has averaged at least 9.0 rebounds in all eight of his NBA seasons and since entering the league, his 11.5 rebounds per game is the second-highest in the NBA (Dwight Howard, 12.9)…since 1980-81, he is one of only three players to have at least two seasons with 26.0 points and 12.5 rebounds (2011-12, 2013-14), along with Shaquille O’Neal (4) and Moses Malone (2)…is the only player in league history to average 10.0 rebounds and make over 700 three-pointers…played in 75 games (all starts) for Cleveland in 2014-15…averaged 16.4 points on .434 shooting, 9.7 rebounds (12th in NBA) and 2.2 assists in 33.8 minutes per game…shot .367 from the three-point line and .804 from the free throw line…also ranked 5th in defensive rebounds per game (7.9) …his 144 three-pointers were the second-most on the Cavaliers and the seventh-most in a single season in Cavaliers history; made at least one three-pointer in 62 of 75 games, including 37 games with two or more three-pointers…notched a team-high 38 double-doubles, which was tied for 10th in the NBA; the most by a Cavalier since 2003-04 (Carlos Boozer-41)…was the only player in 2014-15 to make at least 50 three-pointers with averages of at least nine rebounds…posted 15 games of at least 20 points and 10 rebounds (27-13)…pulled down at least 10 rebounds 40 times, including 9 games with 15 or more boards…recorded a season-high 19 rebounds twice on the season…tied his career-high four steals on two occasions…surpassed 8,000 points for his career with his three-pointer at the 2:11 mark of the second quarter at Toronto on March 4…became the youngest active player to record 5,000 rebounds for his career after a 16-point, 16-rebound performance at New York on Feb. 22; also the fastest player in league history to reach 5,000 rebounds and 500 three-pointers made (418 games)…tied his career-high in three-pointers made after shooting 8-14 (.571) from deep and finishing with a game-high 24 points, nine rebounds and three assists in 34 minutes at Detroit on Feb. 24…scored a season-high 32 points on 11-18 (.611) shooting from the field, including 7-8 (.875) from long range, while adding a game-high tying 10 rebounds and three assists in 35 minutes against the L.A. Lakers on Feb. 8; tied the franchise record for three-pointers made in a single period with five, while also becoming the first Cavalier to knock down seven triples and grab ten rebounds in a game since Dec. 29, 2006 when Donyell Marshall did so against Milwaukee…dished out his 1,000th career assist against Portland on Jan. 28…made his 500th career three-pointer with his second triple at Sacramento on Jan. 11 and finished with 25 points and 10 rebounds in 35 minutes; became the 25th player 6’10” or taller in league history to reach 500 triples for his career and the fastest player in league history to reach 4,000 rebounds and 500 three-pointers (401 games); prior to Love, the player who reached 4,000+ rebounds and 500+ three-pointers in the fewest games was Antoine Walker (448)…in his 400th career game at Golden State on Jan. 9, posted 17 points and 14 rebounds in 38 minutes…was the first NBA player in 2014-15 to put up at least 28 points and 19 rebounds in a game when he did so at Philadelphia on Jan. 5; prior to that, the last time a Cavs player accomplished that feat was almost seven years ago when LeBron James had 31 points and 19 boards on Jan. 11, 2008 versus Charlotte…registered a double-double in his first action as a Cavalier after posting 19 points and a game-high 14 rebounds in 38 minutes against New York on Oct. 30; became just the seventh player since 1985-86 to notch a double-double in his Cavaliers debut (Shaquille O’Neal, Ben Wallace, Darius Miles, Chris Gatling, Shawn Kemp and Zydrunas Ilgauskas…also hit the 7,000-point and 900-assist mark in the first quarter of the Oct. 30th game vs. New York…recorded a season-high five straight double-doubles on two occasions (11/29-12/8 and 11/4-11/11)…during a six-game stretch from Jan. 2-11, averaged 24.0 points and 12.3 rebounds in 36.5 minutes per game…had 495 points in the first quarter this past season, the seventh-highest in the NBA…made at least one three-pointer in 62 of 75 games, including 37 games with two or more three-pointers…led or tied for the team lead in rebounds 35 times, blocks 18 times, points 14 times, steals 11 times and assists two times…was a DND three times on the season…missed two games due to back spasms on Dec. 31 and Jan. 16; missed one game on Feb. 12 due to a right corneal abrasion; missed two games from March 15-16 due to rest; missed one game on April 2 due to a lower back injury…was placed on the Inactive List four times…during the 2013-14 season, appeared in 77 games (all starts) for Minnesota…averaged a career-high 26.1 points on .457 shooting, including .376 from beyond the arc and .821 from the foul line, 12. 5 rebounds and a career-high 4.4 assists in 36.3 minutes… logged a career-high 2,797 minutes…among NBA leaders, ranked first in double-doubles (65), first in defensive rebounds per game (9.6), third in total rebounds per game (12.5), fourth in points per game (26.1), tied for fourth in triple-doubles (3) and tied for eighth in three-pointers (190)…with his 190 three-pointers, he set Minnesota’s franchise record for three-pointers made in a season, while also setting the team’s mark for points per game (26.1), and free throws made (520) and attempted (633)…became the first player in NBA history to record 2,000 points, 900 rebounds and 100 three-pointers in a single season…became just the third player since 1980-81 to have two seasons of at least 26.0 points and 12.5 rebounds (Shaquille O’Neal-4 and Moses Malone-2)…is the first player to average 26/12/4 over a full season since the NBA/ABA merger (Kareem Abdul-Jabbar and Bob McAdoo had most recently accomplished that feat in 1975-76)…scored in double figures in all 77 games, including 57 20-point games, a Wolves franchise record 25 30-point games and six 40-point games…collected a league-leading 24 20-point/10-rebound/5-assist performances on the season…possessed the 3rd highest PER in the NBA at 26.97, behind only Kevin Durant (29.90) and LeBron James (29.40)…had 21 games of at least 30 points and 10 rebounds…registered the first three triple-doubles of his career on Feb. 22 at Utah (37 pts/12 reb/10 ast), March 28 vs. L.A. Lakers (22/10/10) and April 2 vs. Memphis (24/16/10)…in registering his first career triple-double in the Feb. 22 victory at Utah, he became one of only eight NBA players in the past 30 years to collect 30+ points, 10+ rebounds, 10+ assists and 5+ three-pointers in a single game…led the Wolves across the board (pts/reb/ast) seven times…poured in 40 points on April 14 at Golden State, running his season total to 1,991 and breaking Kevin Garnett's single-season club record (1,987) set in 2003-04…had 33 points and a season-high 19 rebounds March 3 at Denver, the 27th time he's collected 30+ pts/15+ reb…among active players, only Tim Duncan (44) and Dwight Howard (37) have more such games…totaled 25+ pts/10+ reb in 11 straight outings from Jan. 29-Feb. 25, the NBA's longest such run since Shaquille O'Neal put together 13 in a row in 2001…named Western Conference Player of the Week twice (Feb. 24, Nov. 4)…started for the West in the 2014 NBA All-Star Game on Feb. 16 in New Orleans, tallying 13 points and nine rebounds…averaged 34.0 ppg and 14.1 rpg in February; those figures have not been reached in tandem for a calendar month since Moses Malone in March 1982…grabbed his 4,000th rebound Jan. 21 at Utah…scored his 6,000th career point Jan. 24 at Golden State…poured in a season-high 45 points (with 19 rebounds) on Dec. 22 at L.A. Clippers…totaled 42 points Dec. 13 at San Antonio, matching Stephon Marbury's club record by drilling eight treys in that game…sank the game-tying three-pointer with :10.1 left in regulation vs. Orlando on Oct. 30…missed four games due to injury…during the 2012-13 season, was limited to 18 games in his fifth NBA campaign, missing 62 due to an injury to his right hand…also sidelined for the Dec. 15 game vs. Dallas due to illness and the Dec. 23 contest at New York with a left eye injury…averaged 18.3 ppg, 14.0 rpg and 2.3 apg…made his season debut Nov. 21 vs. Denver, totaling 34 points and 14 rebounds…missed the first nine games after sustaining a fracture of the third and fourth metacarpals in his right hand on Oct. 17…re-fractured the third metacarpal in the Jan. 3 victory at Denver…underwent surgery on Jan. 15 and was sidelined for the final 53 contests…also underwent arthroscopic surgery to remove scar tissue on his left knee on April 10…led Minnesota with 28 points in the Dec. 20 win vs. Oklahoma City, adding a season-high seven assists…overtook Tony Campbell (4,888) for 5th place on the Wolves' career scoring list Dec. 18 at Miami (also his 200th career start)…poured in a season-high 36 points Dec. 7 vs. Cleveland, part of his 29th career game with 30+points/10+ rebounds…hauled down a season-high 24 rebounds Nov. 27 at Sacramento, including a career-best 21 defensive boards…became just the third Timberwolves player to pull in 20+ defensive boards in a game, joining Kevin Garnett and Al Jefferson…the Sacramento game marked the 16th time he contributed 20+ points and 20+ rebounds in the same contest (18th career 20-rebound night overall)…during the 2011-12 season with Minnesota, played in 55 games, sitting out the final seven after suffering a concussion April 11 at Denver…earned Second Team All-NBA honors after ranking 4th in scoring (a franchise-record 26.0 ppg), 2nd in rebounding (13.3 rpg) and 2nd in minutes played (39.0 mpg)…shot 44.8% from the field, 37.2% (105-for-282) from long range and 82.4% from the FT line, becoming only the third player in league history to average 25+ ppg and 10+ rpg while also sinking 50+ treys, joining Larry Bird (1984-85) and Charles Barkley (1992-93)…also led the NBA in point/rebound double-doubles (48) and finished 4th in FTs made (379) and 5th in FT attempts (460)…was Minnesota's top scorer 43 times and leading rebounder on 50 occasions…tallied 20+ points on 46 occasions, including a club-record 19 games with 30 or more…totaled 40 points and 19 rebounds March 28 at Charlotte, his third 40+ effort in March (fourth career, tying Garnett's club record) and his 10th 30-point/15-rebound night this year…the rest of the league combined for nine such games…poured in a club-record 51 points March 23 at Oklahoma City, breaking Garnett's mark of 47 (Jan. 4, 2005 vs. Phoenix)…the seven treys were also a career high…pulled in his 3000th career rebound March 7 vs. Portland, and overtook Sam Mitchell (3,030) for 2nd place on the Wolves' career list March 12 at Phoenix…played his 250th game March 5 vs. the L.A. Clippers, and scored his 4,000th point Feb. 20 at Denver… Had 42 points March 3 at Portland, and followed up with a 39-point effort vs. the Clippers…averaged a league-best 30.7 ppg (46.4%) and 13.9 rpg in March…tallied 17 points, seven rebounds and three steals for the West in the 2012 All-Star Game in Orlando; he also won the Foot Locker Three-Point Contest… hit the game-winning free throws with :00.1 left Feb. 19 vs. Philadelphia…he sank a three-pointer as time expired to beat the L.A. Clippers on Jan. 20…signed a four-year contract extension on Jan. 25…saw his run of double-doubles halted at 15 Jan. 21 at Utah, the NBA's longest streak to open a season since Moses Malone reeled off 16 in a row in 1981-82…totaled 31 points and 20 rebounds Dec. 27 at Milwaukee, setting franchise records with his 19-for-24 outing from the line...in 2010-11 season with Minnesota, topped off his third season in the NBA by winning the league's Most Improved Player award, after registering career highs in scoring (20.2 ppg), rebounding (an NBA-best and franchise-record 15.2 rpg), assists (2.5 apg), minutes (35.8 mpg) and all three shooting categories…hit 47.0% from the floor while ranking 18th in scoring, 14th in three-point accuracy (41.7%) and 28th in free throw accuracy (85.0%)…started all 73 of his appearances, missing the final six games (and nine of the last 11) due to a strained left groin…became the first NBA player to average 20+ ppg and 15+ rpg since Moses Malone in 1982-83, and compiled the league's highest rebounding average since Ben Wallace hauled in 15.4 rpg in 2002-03…broke Al Jefferson's club single-season mark for offensive rebounds (308 in 2007-08), finishing with a league-best 330…was Minnesota's top scorer 41 times and also led in assists on nine occasions; he scored 20+ points 43 times…saw his run of 53 straight point/rebound double-doubles halted March 13 at Golden State…Kevin Garnett held the previous franchise record at 37 (Feb. 1-Nov. 6, 2006)…posted his fourth 30/20 effort of the year Feb. 27 vs. Golden State (37 points, 23 rebounds)…Pau Gasol and Dwight Howard recorded the only other such games in 2010-11…the 18-for-23 effort from the free throw line vs. Golden State on Feb. 27 tied club records in both categories…he also surpassed the 3,000-career-point mark in that game…made his All-Star Game debut on Feb. 20 at Staples Center, scoring two points with four rebounds (in 11:44) in the Western Conference's 148-143 victory…was the fifth player in Wolves history to be chosen as an All-Star, and the first since Garnett in 2007…led the Wolves across the board (pts/reb/ast) vs. Houston on Jan. 24, handing out a season-high seven assists…scored 30+ points nine times, including four in January…snagged his 2,000th rebound Jan. 11 vs. San Antonio, and posted his 100th double-double Jan. 13 vs. Washington…hauled in 24 rebounds Jan. 3 at Boston; he ranked 2nd in double-doubles (64) for the season behind Dwight Howard…saw his consecutive free throw streak ended at 46 on Dec. 3 at San Antonio…erupted for a career-high 43 points Dec. 18 at Denver, and poured in 32 points with 22 rebounds Nov. 24 vs. San Antonio…totaled 31 points and 31 boards Nov. 12 vs. New York, shattering Al Jefferson's single-game rebounding record (26 at Houston, Jan. 13, 2010)…is the first NBA player to tally 30+ points and 30+ rebounds in the same game since Houston's Moses Malone (Feb. 11, 1982 vs. Seattle) and the first to grab 30+ rebounds since Charles Barkley had 33 for Houston at Phoenix on Nov. 2, 1996...completed his second year in Minnesota by seeing action in 60 games (22 starts) during the 2009-10 season…made his regular-season debut Dec. 4 at New Orleans, having been sidelined for the first 18 games due to a fractured fourth metacarpal (left hand) suffered Oct. 16 at Chicago…underwent surgery on Oct. 20...also missed two games (Jan. 18-20) due to an upper respiratory infection and two (March 12-14) with a left mid-foot sprain...was one of only 15 NBA players to average a double-double for the season, tallying 14.0 ppg and 11.0 rpg in 28.6 mpg...shot 45.0% from the floor and 81.5% from the line, leading the Wolves with 276 free throw attempts...drained 35 three-pointers (at a 33.0% clip), after hitting only two as a rookie...started the April 7-9 games, his first since Jan. 23 at Milwaukee (after 30 straight bench outings)…tallied 15.3 ppg, 13.3 rpg and 2.8 apg in 22 starts overall...was Minnesota's top rebounder on 35 occasions and leading scorer 11 times, collecting a team-best 36 point/rebound double-doubles (good for 11th in the NBA)…the Jan. 2 game at Indiana ended his double-double string at 11...scored 23 points and hauled in a career-high 22 rebounds March 28 vs. Phoenix, becoming the fourth player in Wolves history to notch a 20/20 game (Garnett 26, Jefferson 5, Gugliotta)...scored a then-career-high 25 points Jan. 31 vs. New York...grabbed his 1,000th rebound Jan. 13 at Houston, and went over the 1,000-career-point mark Dec. 16 vs. the L.A. Clippers...handed out a career-high nine assists Dec. 30 vs. Utah, and pulled in 19 rebounds Dec. 11 at the Lakers...had his 2010-11 contract option exercised on Nov. 2...in his rookie season in 2008-09 for Minnesota, led all rookies (and ranking 9th overall) in rebounding at 9.1 rpg...broke the club single-season rookie rebounding record April 11 vs. Phoenix, and ended the year with 734 to surpass Christian Laettner (708 in 1992-93)...played in 81 games (including 37 starts), missing the April 5 game vs. Denver due to the flu...averaged 11.1 ppg (9th among rookies) while logging 25.3 mpg and shooting 45.9%; he boosted those numbers to 13.3 ppg (on 48.4% shooting) and 9.9 rpg after Jan. 1 (50 games)...led the Wolves in free throws made and attempted by finishing 265-for-336 (78.9%)…averaged 7.9 FTAs/48 on the year...also broke Laettner's franchise rookie mark for double-doubles, collecting his 29th (tops among NBA rookies this season) in the April 15 finale vs. Sacramento...named Western Conference T-Mobile Rookie of the Month for March, the third Timberwolves player to claim those honors (Stephon Marbury, Randy Foye)...led Minnesota in scoring on seven occasions, including a 23-point effort March 31 vs. Dallas…was the top rebounder 36 times...pulled down 19 rebounds March 17 at San Antonio, one short of Dean Garrett's franchise rookie record and the 2nd-highest total by an NBA rookie on the season (the Clippers' DeAndre Jordan grabbed 20 at Golden State on Jan. 25)...led the NBA in offensive rebounds per 48 (6.4)…his 274 offensive boards ranked 3rd behind Orlando's Dwight Howard (336) and Charlotte's Emeka Okafor (275), and represent the 2nd-highest season total in franchise history (Al Jefferson, 308 in 2007-08)... Tallied a season-high 24 points (with 15 rebounds) Feb. 25 vs. Utah, and dished a season-high four assists March 11 vs. Memphis…blocked four shots March 13 vs. New York…had his draft rights traded to Minnesota along with Brian Cardinal, Jason Collins and Mike Miller in exchange for Greg Buckner, Marko Jaric, Antoine Walker and the draft rights to O.J. Mayo at the 2008 NBA Draft on June 26. In 24 career postseason games (23 starts), owns averages of 14.6 points, 8.5 rebounds and 2.2 assists in 30.0 minutes…played in 20 games (19 starts) during Cleveland’s championship run in the 2016 Playoffs…had 10 double-doubles (ranked 3rd), averaging 14.7 points and 8.8 rebounds in 30.6 minutes…ranked 5th in the NBA Playoffs with 46 three-pointers made…had at least 20 points and 10 rebounds five times…recorded eight straight double-doubles from April 17-May 8, setting a franchise playoff record for consecutive double-doubles at any point of a single playoffs…notched a double-double in each game of the First Round against Detroit and finished the series with averages of 18.8 points and 12.0 rebounds in 35.8 minutes per game…posted four double-doubles in four games against Atlanta in the Second Round, averaging 19.0 points, including a .475 (19-40) mark from deep, 13.0 rebounds and 2.5 assists in 32.8 minutes...in Game 4 at Atlanta on May 8, had a game-high 27 points, a game-high 13 rebounds and four assists in 37 minutes; also shot 8-15 (.533) from deep, which tied the Cavs’ playoff record for threes in a game…in the Eastern Conference Finals versus Toronto, averaged 15.2 points, 5.7 rebounds and 2.8 assists in 30.2 minutes while shooting .448 from three-point territory and .960 from the charity stripe…pulled down a team-high 14 rebounds while tallying nine points, three assists and a playoff career-high two steals in 30 minutes during Game 7 of the NBA Finals at Golden State on June 19…played in four games during the 2015 Playoffs…averaged 14.3 points, a .429 clip from the three-point line, 7.0 rebounds and 2.5 assists in 26.8 minutes during the First Round against Boston…in his playoff debut, posted a double-double with 19 points, a game-high 12 rebounds, four assists and one steal in 33 minutes in Game 1 against the Celtics on April 19… shot 6-10 (.600) from beyond the arc and finished with 23 points, nine rebounds and three assists in 37 minutes in Game 3 of the First Round versus Boston on April 23…suffered a dislocated left shoulder in the first quarter during Game 4 in Boston and missed the remainder of the postseason due to the injury. NBA Champion (2016)…a three-time NBA All-Star (2011, 2012, 2014), two-time All-NBA Second Team selection (2012, 2014), Olympic gold medalist (2012) and winner of the league’s Most Improved Player award (2011) and Three-Point Shootout (2012)…was selected to the All-Rookie Second Team in 2009…took home the Gold Medal at the 2012 London Olympics as part of Team USA...in eight contests, averaged 11.6 points and 7.6 rebounds in 17.3 minutes per game...led Team USA in rebounds, totaling 61 for the competition...scored a team-high 16 points in Team USA’s 110-63 win over Tunisia...tallied nine points and nine rebounds in just over 18 minutes in the Gold Medal game...registered a double-double (10 points, 11 rebounds) against Australia...won a gold medal at the 2010 FIBA World Championship, the USA's first world championship since 1994...averaged 5.7 points and 4.9 rebounds while shooting 57.1 percent (20-35 FGs) from the field...named a member of the 2010-12 USA Men’s National Team on Feb. 10, 2010...member of the USA Blue Team in the 2009 USA Basketball Showcase and recorded 4 points, 3 rebounds, 1 assist and 2 steals in 17 minutes. Son of Stan and Karen Love...father, Stan, played with the Los Angeles Lakers and Washington Bullets in the NBA...uncle Mike Love is the lead singer of the Beach Boys...has hosted a winter coat drive to support the local Salvation Army during each of his first five NBA seasons...awarded the December 2012 KIA Community Assist Award...one of 10 nominees for 2012-13 Season long KIA Community Assist Award...teamed with NFL All-Pro wide receiver Larry Fitzgerald and Bright Pink in October of 2012 to "Spread Love" in hopes of raising money for Breast Health Awareness Month...an ambassador of the Hoops for St. Jude program since his rookie season...favorite movies are “He Got Game” and “Gladiator”...lists the Seattle Mariners and Portland Trail Blazers as his favorite teams while growing up...appeared on the cover of the EA Sports NCAA Basketball ’09 video game...helped Lake Oswego High School reach the state 4A tournament four straight years, the state championship game three straight years, and a state title in 2006...named 2007 Gatorade National Male Athlete of the Year...earned the 2007 Naismith, Wooden, USA Today, National High School Coaches Association, McDonald's and Parade Magazine Male High School Player of the Year awards...became the first player in state history to be named player of the year three times, winning the award outright his sophomore and junior seasons and sharing the award.